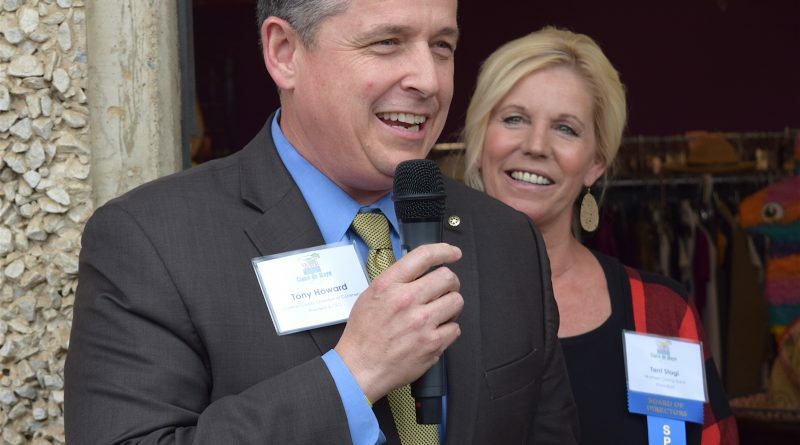 Loudoun County Chamber of Commerce President Tony Howard and WGB President Terri Stagi. The finalists for this year’s Loudoun Community Leadership Awards are in. The Loudoun County Chamber of Commerce today announced the top vote getters for the leadership awards, which honor businesses and community leaders who have shown true leadership and commitment to support the Loudoun community and its citizens. The finalists were chosen in five categories: large and small businesses, nonprofit executive, executive leaders, and young professionals. The winner of the community leadership awards in each category will have the opportunity to select one nonprofit organization to receive a $1,000 grant, courtesy of the Community Foundation of Loudoun and Northern Fauquier Counties. Carol Kost, Loudoun Youth Inc. The annual meeting and community leadership awards will take place Thursday, Jan. 26, at The National in Lansdowne. For tickets, go to LoudounChamber.org. The 2017 sponsors are Inova Loudoun Hospital, HHMI Janelia Research Campus, John Marshall Bank, Toth Financial Advisory Corporation, Wells Fargo Bank, Community Foundation for Loudoun and Northern Fauquier Counties, Economic Development Authority of Loudoun County, Virginia, and the Loudoun County Department of Economic Development.